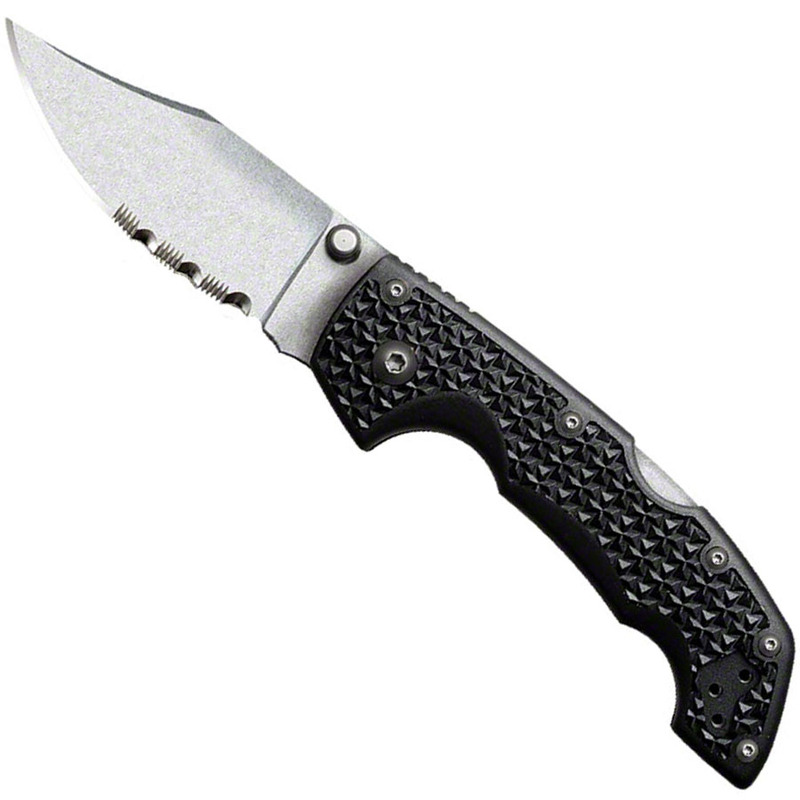 Cold Steel Voyager Clip 3 inch 50/50 Edge Folding Knife - 29TMCH is the most precisely designed knife that comes with Tri-Ad lock and stiff spring. The sharpness of the blade will definitely stay for a long time. Reasons behind the long lasting sharp feature of the AUS 8A steel designed blade is due to the high percentage of carbon and also the treatment of heat. 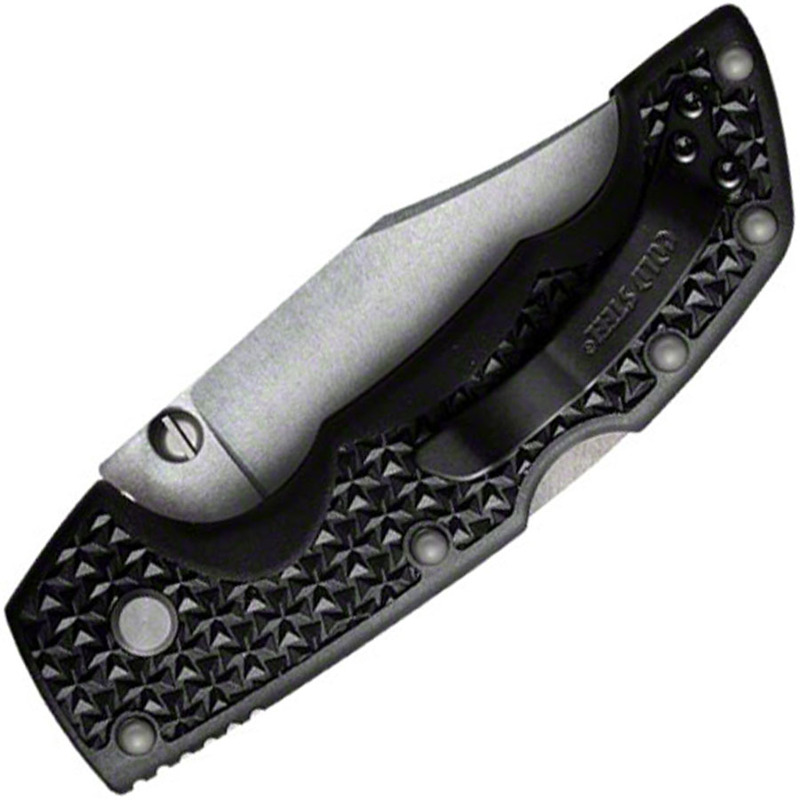 Pocket clips, one hand opening of knife and mechanical fasteners are present in this Voyage model. Grivory is a superior quality of handle material and this knife has handle made of this material. Heat treated aluminum liners ensure further stiffness to the handles.